New EP “The War Inside” Out Now! 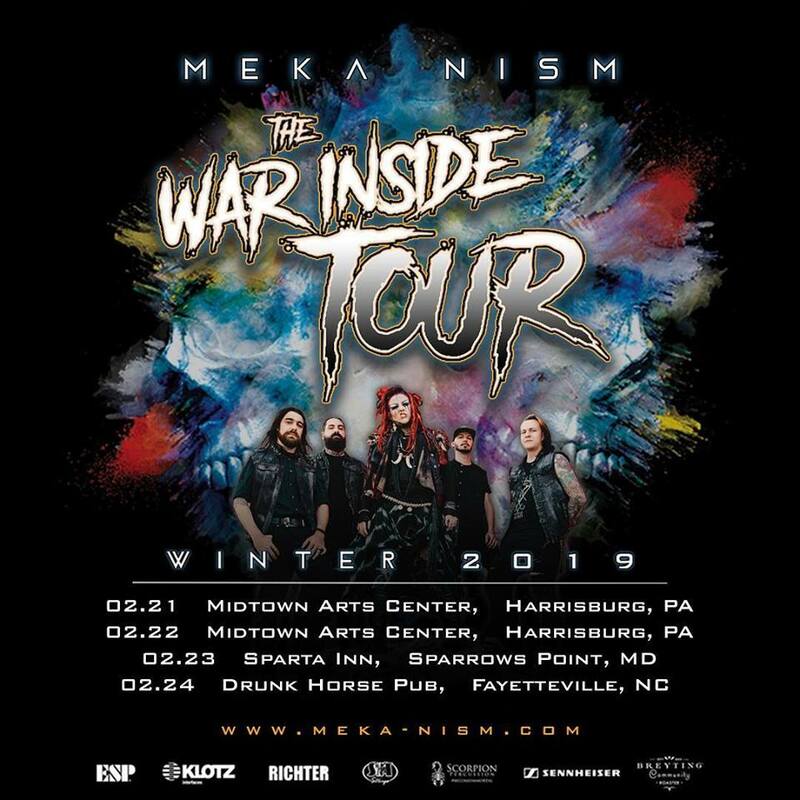 Orlando, Florida’s MEKA NISM confirms they will be performing at this year’s Millennium Music Conference/Showcase in Harrisburg, PA on February 21st and 22nd in support of their latest EP “The War Inside” released last year. “We are very excited to be returning to the great state of Pennsylvania and playing in Maryland for the first time. The Millennium Music Conference/Showcase, in Harrisburg, PA, is an amazing opportunity for us to show what we got and what we can bring to the table. As an up and coming metal band, we believe this is a necessary step in finding our home with a label that is ready to take over the world with us, haha. We hope you all are prepared for what you’re going to witness on this tour, you will not want to miss it.” says lead guitarist Bobby Keller. “The War Inside” EP is available at www.meka-nism.com, iTunes, Google Play, Amazon, and Spotify. – Played Breeding Festival in Flensburg, Germany in 2017. – Opened Main Stage for WJRR’s Earthday Birthday 24 in April 2017. – Headlined Local Stage at 3rd Annual Kink Music Festival. – Ranked 2016 Orlando’s #1 Metal Band – Orlando Weekly. – Toured with Avatar in 2016. 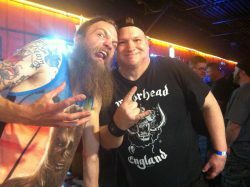 – Toured with Trapt and Otep in 2015. – EP “The Shift” Named One of Top 34 Albums of 2015 – Unrated Entertainment Magazine. – Single “From Out of Nowhere” Selected to Best of 2015 List – From the Depths Entertainment. MEKA NISM‘s sound is powerful, metallic, aggressive, melodic, and in your face. 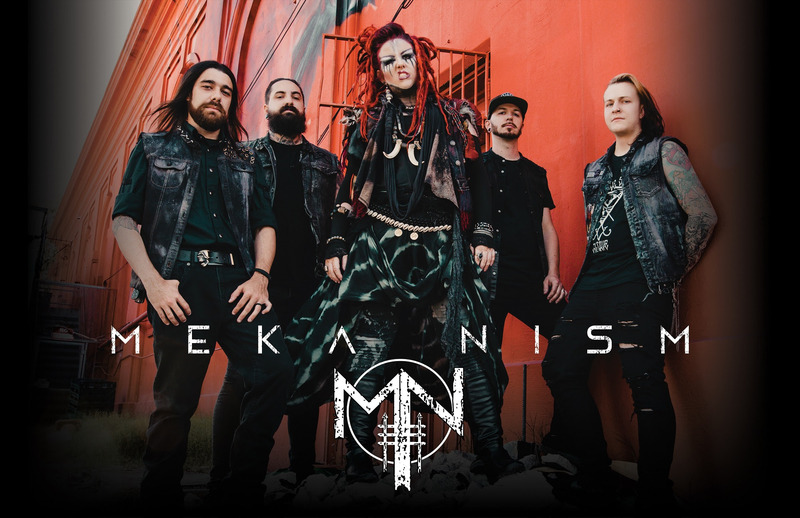 They are a band that fires on all cylinders and with the most charismatic front-woman “Meka”; the band returned in 2018 with their new EP “The War Inside” – released on May 10th to follow their three previous releases “Live From The Machine Shop” (Live CD) (2016), “The Shift” (EP) (2015) and “The Dance At The End of The World” (EP) (2013). The band has supported legends like Mastodon, Gojira, The Offspring, Limp Bizkit, Otep, In Flames and Jonathan Davis (Korn).